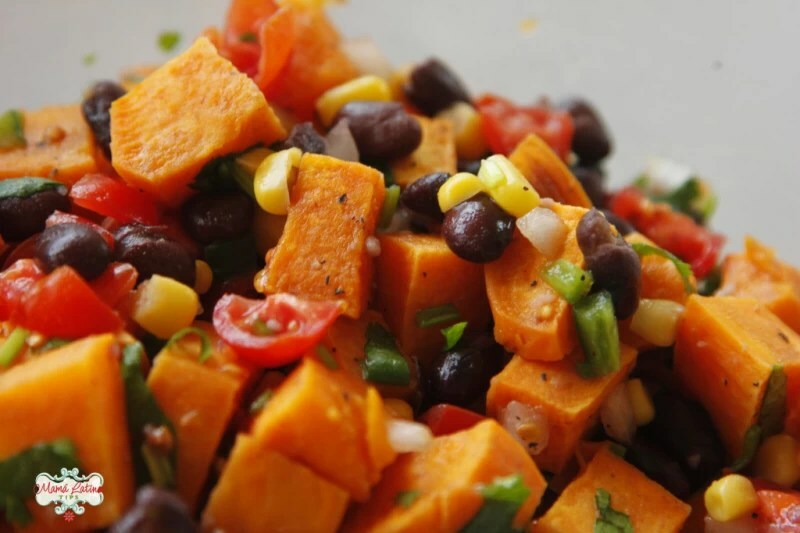 I first made this Mexican Sweet Potato Salad at a cooking demonstration in Long Beach, California. Savory and sweet, tart and pungent, colorful and fresh, with vitamins, minerals, proteins, and fiber, together it all adds up to a very satisfying salad. This vegan and vegetarian dish prepares quickly and easily, and I think you can rest comfortably in the knowledge that you have fed your family well. 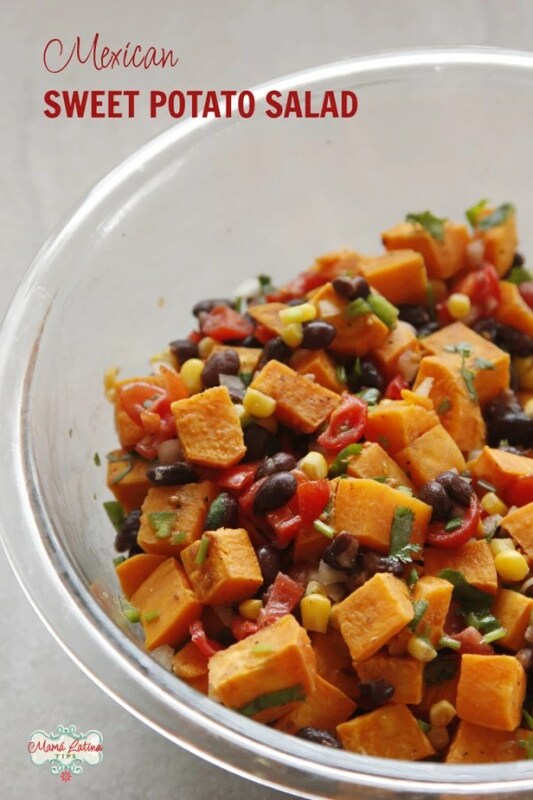 If you make this Mexican Sweet Potato Salad, be sure to snap a photo and share it with us on social media using the #mamalatinatips hashtag. I’d love to see it and have a chance to share it as well. Mix together sweet potatoes, 1/2 teaspoon salt and oil until fully coated. Bake for 15-20 minutes until cooked, but firm. While sweet potatoes are in the oven. Chop tomatoes, cilantro sprigs and jalapeño pepper. Cover corn with water and cook (defrost) for about 1 minute in the microwave. If you prefer you can do this in a pot on the stove. Drain. 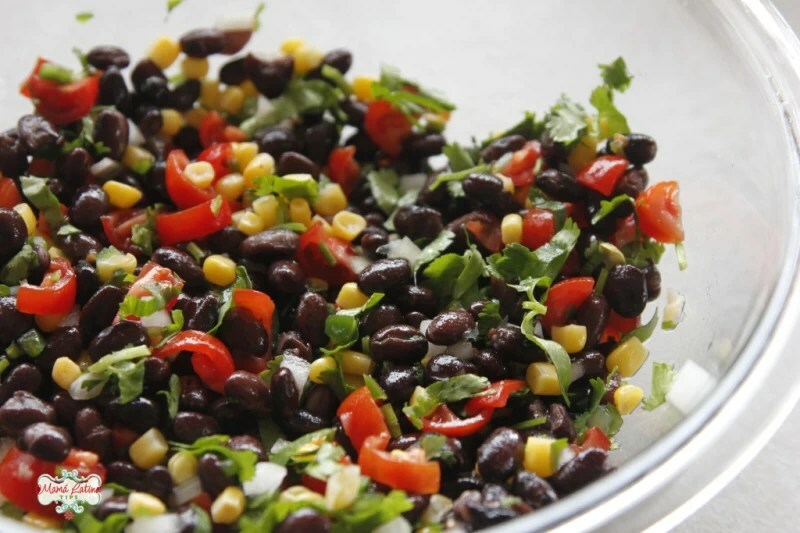 Add corn, white onion, black beans and lemon juice to the tomato mixture. Mix well, add 1/2 teaspoon salt and pepper to taste. Take sweet potatoes out of the oven, let them cool down for 10 minutes. 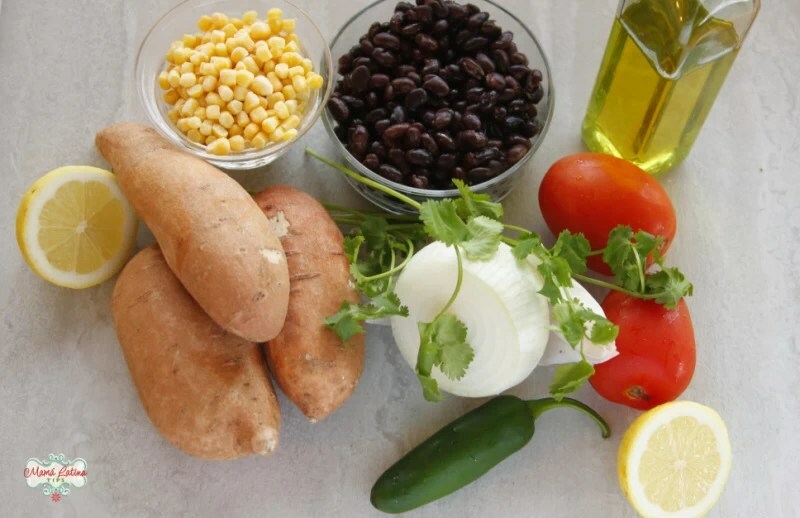 Carefully combine sweet potatoes with salsa and beans. You can either serve it warm, or put in the fridge for a cold salad later. I prefer it cold myself, but both ways are delicious. This one, I HAVE to make it. I love all and every ingredient! Thanks for sharing Silvia!